Frog Song is a new and magical modern-day, fairy tale opera for children! Join Navdeep, Wyatt, and the rest of the sensational singers at Camp Songbird for a wild journey full of joy, growth, and song. Watch as each character learns to find their true voice in this beautiful new opera which explores important themes to children today including identity, female empowerment, and community! Taylor is a theatre artist and educator living in Cambridge, Ontario. She has worked in various capacities with esteemed artistic companies and educational institutions as Canadian Stage, the Playwrights Guild of Canada, Tapestry New Opera Works, Humber College, Artscape, Rogers Television, among others. Taylor is the proud recipient of the George Ryga Award for Excellent in Playwrighting from York University, celebrated playwright Judith Thompson named Taylor as the “up and coming playwright to watch” in the Playwrights Guild of Canada’s The Playwright Applause campaign, and her opera The Virgin Charlie, created in collaboration with composer William Rowson, was nominated for a Dora Award for best new opera / musical. 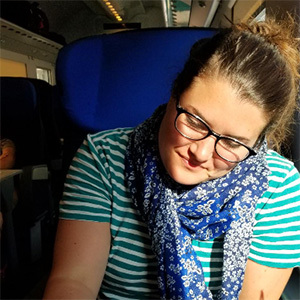 Currently, she is a PhD student at the University of Guelph, an English professor at Sheridan College, and an artistic associate at Pat the Dog Theatre Creation. For more information please visit taylormariegraham.com. 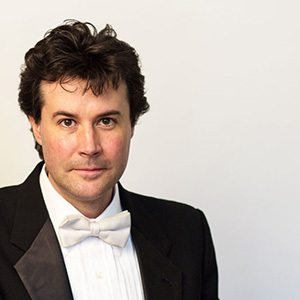 Currently in his third season as the assistant conductor of the Vancouver Symphony Orchestra, William Rowson has led the orchestra in over 100 performances ranging from Kids concerts to the VSO’s Annex series as well as the ever popular Tea and Trumpets series. Through his work with the VSO’s education department he has performed for over 70,000 elementary school students. He has collaborated with such artists as Jann Arden, Chris Botti, Chris Hadfield, Fred Penner and the Hot Sardines. An active composer as well as conductor, Rowson recently had his Fanfare for Canada’s 150th premiered by the Toronto Symphony Orchestra conducted by Thomas Dausgaard. In August 2018, his Short Variations on Waves was given its premiere by the Ensemble Made in Canada at the Festival of the Sound, and will be performed in every province in Canada this season. Rowson recently composed the music for the upcoming feature length film Brotherhood. As a new father, he is excited to see the new opera Frog Song staged and its important story impact children for years to come!